WWII German silver skull rings with crossbones for sale. 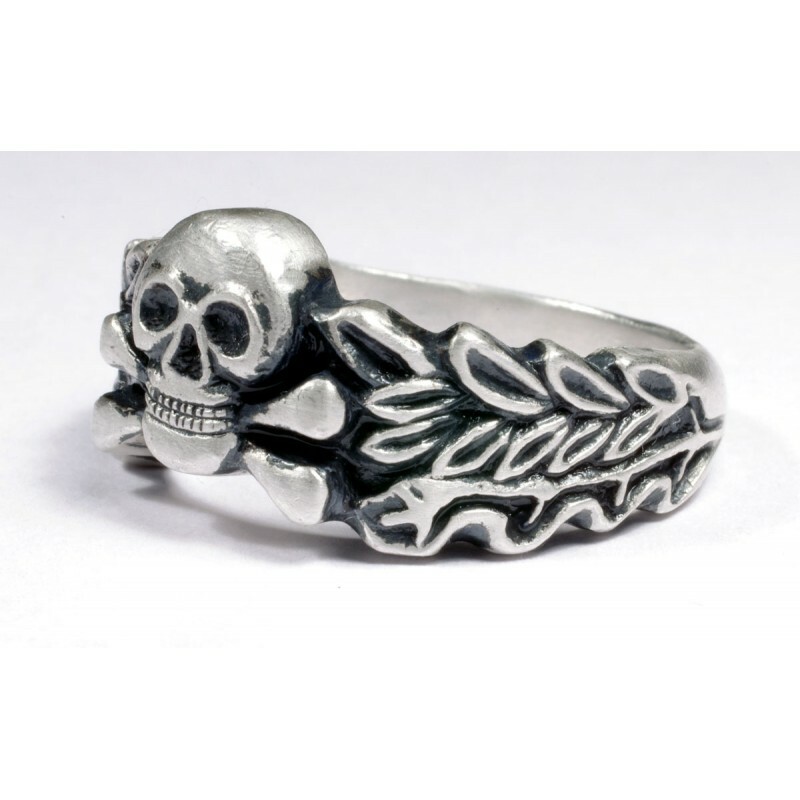 You can acquire this World War Two period –WWII GERMAN skull silver ring in good condition. 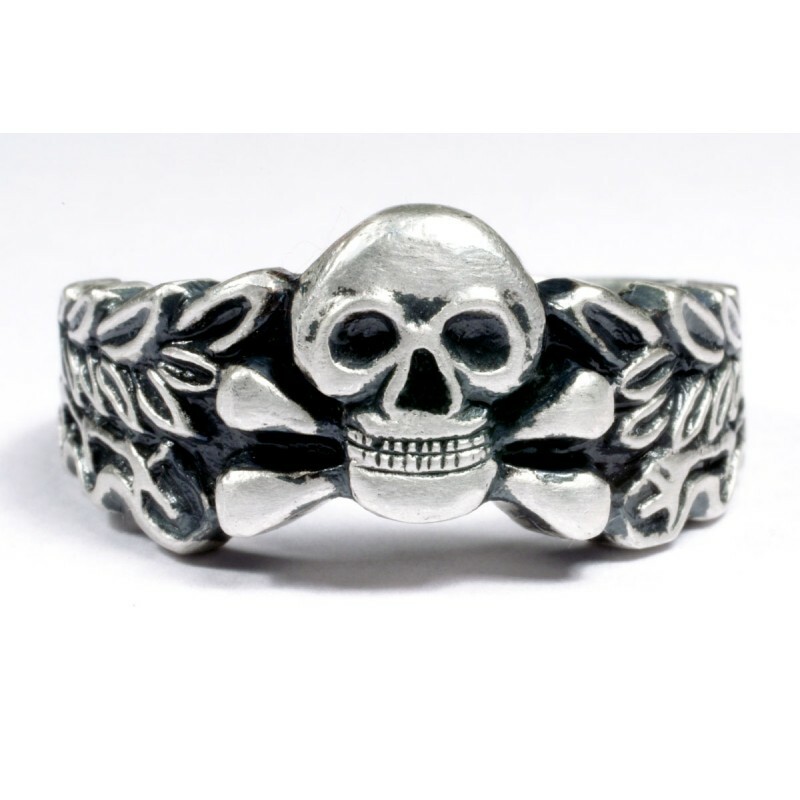 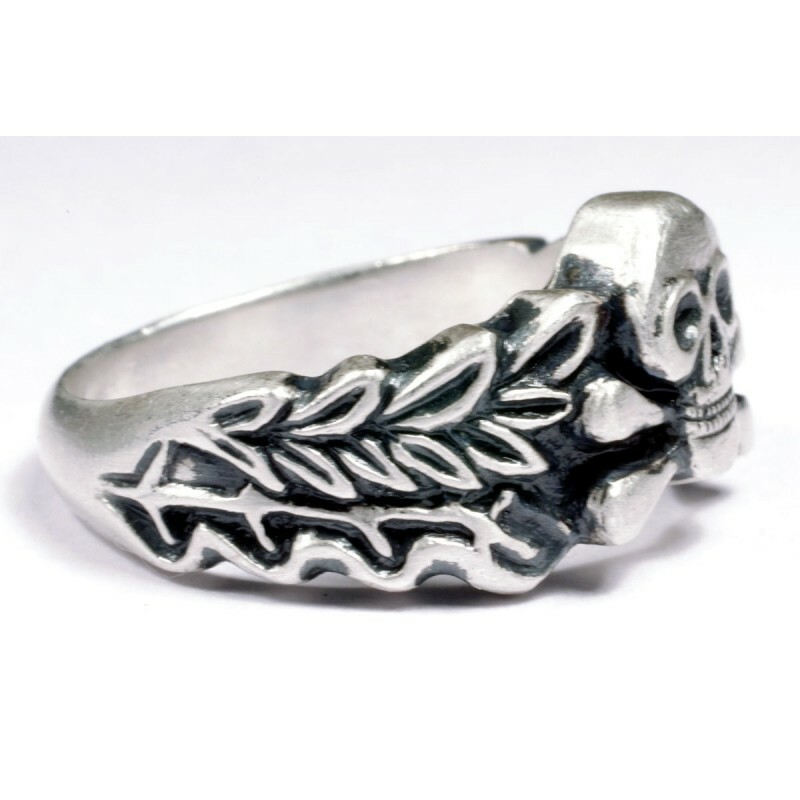 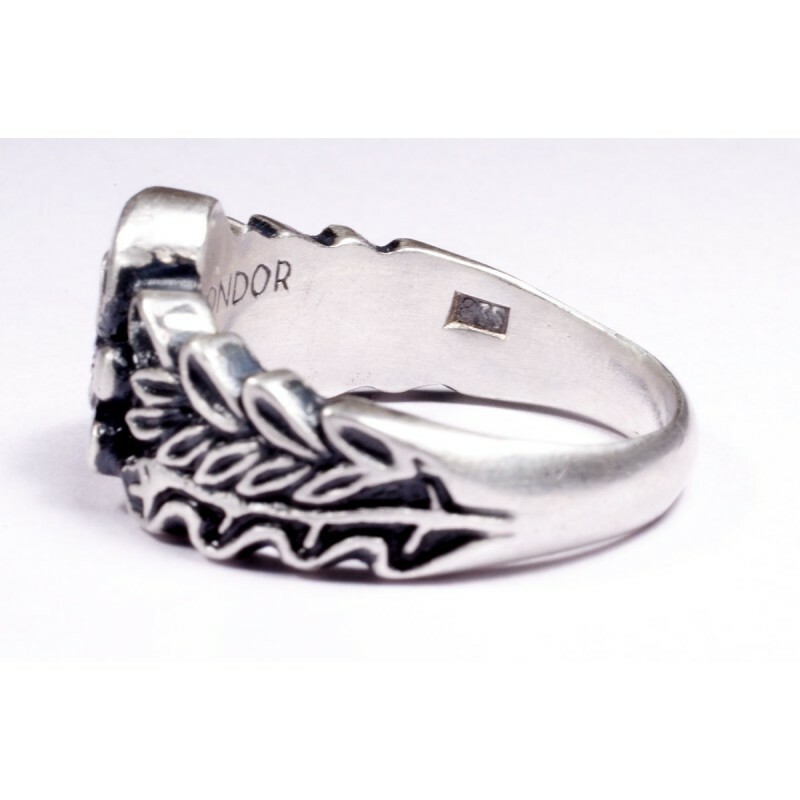 Sterling silver ring with skull and crossbones in a centerpiece, band is formed by oak leaves. 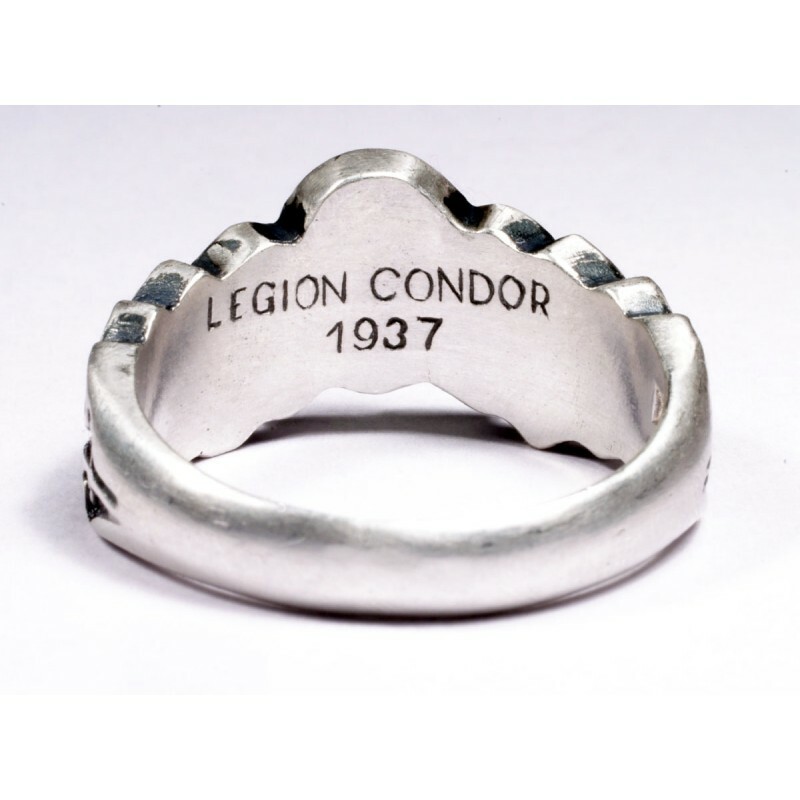 There are inscription “Legion Condor ” and 1937.